All Leonard homes currently listed for sale in Leonard as of 04/25/2019 are shown below. You can change the search criteria at any time by pressing the 'Change Search' button below. If you have any questions or you would like more information about any Leonard homes for sale or other Leonard real estate, please contact us and one of our knowledgeable Leonard REALTORS® would be pleased to assist you. "If you have ever wanted your place in the the country, this is it. 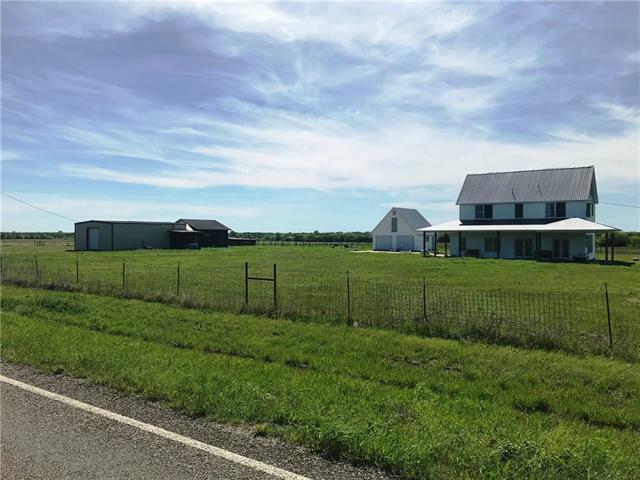 Your 2 story white farmhouse is setting on around 12 acres, about 35 miles from McKinney. Currently the land is used to raise goats, but perhaps you will want horses instead. There is a large workshop on the property, that has been used in the past to process goats and deer for commercial sell, but you may have different uses. Enjoy the sunset view of your prairie from your master bedroom." "A magnificent dwelling! Sitting on 3.49 Acres! Amenities galore! Open floor plan, Granite counter tops through out, decorative lighting, stained concrete, separate exercise room that could be used as guest lodging, walk out balcony, beautiful brick fire place, walk in pantry, extra large walk in closet in master bedroom, granite walk in shower with rain shower head. Central air is zoned so one does not have to cool the entire house when not needed. 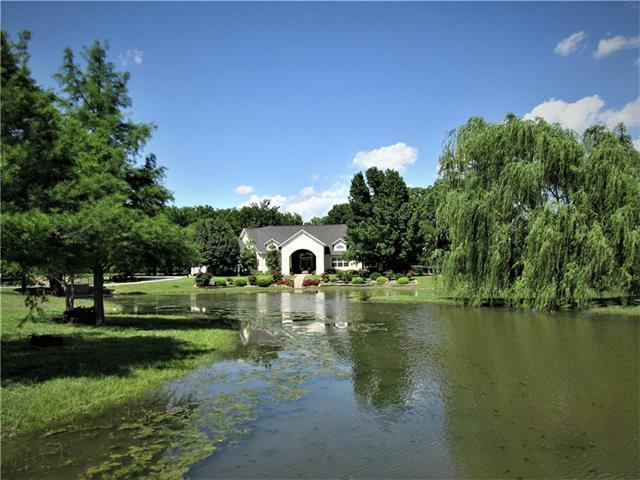 Koi pond, fishing pond, placed between mature t"
"30 Acres with pond, farmhouse and amazing views! This hilltop charming 1950 s farmhouse is family ready whether it s a weekend retreat or your own home sweet home . The views are spectacular from either the front or back of the house. Start your day enjoying the sunrise from your screened in porch while relaxing in the swim spa. Then enjoy the day in your large workshop or kicking around the grounds and pond. The second workshop is perfect for crafting or office. The day ends with a gl"
"Lovely French Country architectural style home on 4.3 acres; beautiful brick and stone design; spacious, private patio; custom cabinetry; built in hutch, double oven; includes all appliances plus WASHER, DRYER, and REFRIGERATOR; abundance of closet place; lovely landscaping, pergola, pecan and fruit trees, bushes, and grape vines, fireplace with thermostat, 8x8 storm cellar. 24x30 workshop with propane heater, electric, water up to shop; crown molding; walk in shower and so many more awesome fea"
"Amazing Property with Newly Renovated Home on 19 Plus Acres. Country Living at It's Finest. Addition of 3 Bedrooms and Bath, Incomplete but Ready For You to Add Your Own Design. Shop Has Its Own Electric Meter. Several Controllable Security Lights on Property. New Paint, Front Porch, Roof, AC, Foundation Repair, and Windows. Fenced In With Monitored Gate and Pin Pad, Private and Back Off the Road Next to the Creek. Featuring a Loafing Shed, Hay Barn, Horse Barn, Shop, Separate Garage, Storage Sh"
"Country living at its best! Enjoy the view of the pond in front or wide open spaces in the back. 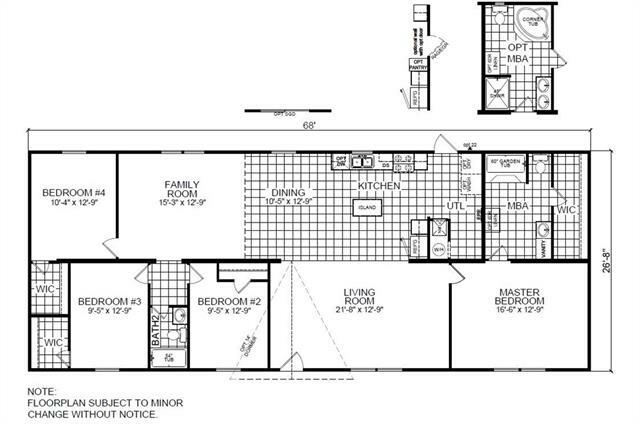 Very versatile floor plan could accommodate a large family or multiple-generations. 1 wing has master, huge walk-in closet, oversized bath with separate big shower, living area & 2 additional rooms that could be a bedroom or study & studio, lots of possibilities. 2nd master & 2 additional split bedrooms with updated ceiling fans & generous size closets in other wing. Pretty engineered wood & stained"
"Upgraded land and home package. 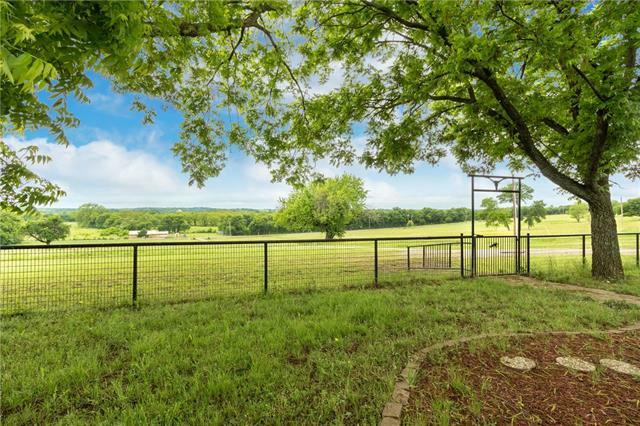 Over 1.5 acres with trees on a county road near Leonard, TX. 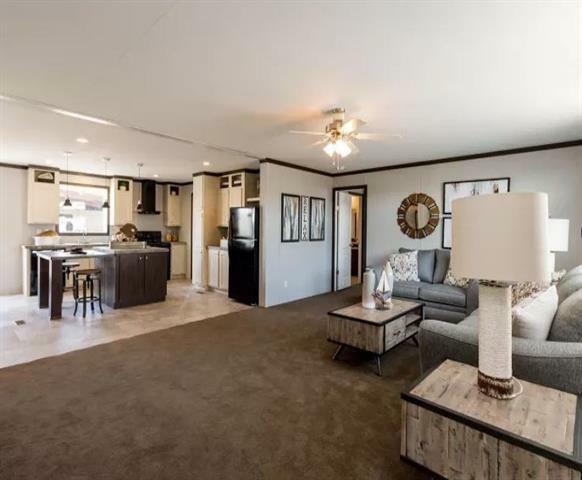 Brand NEW double-wide mobile home that is 4 bedrooms and 2 full baths. 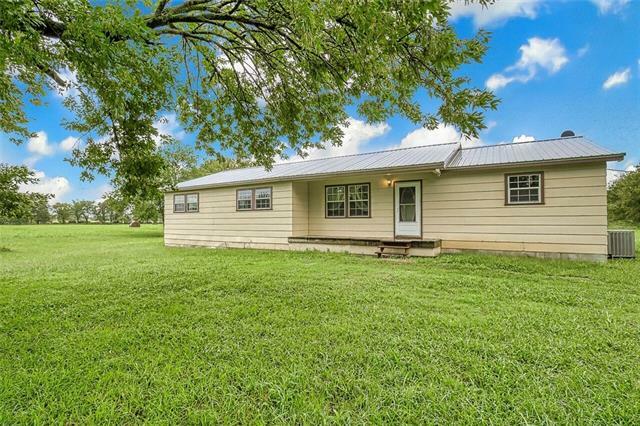 This home is ready for your family with great Leonard ISD schools and country charm. 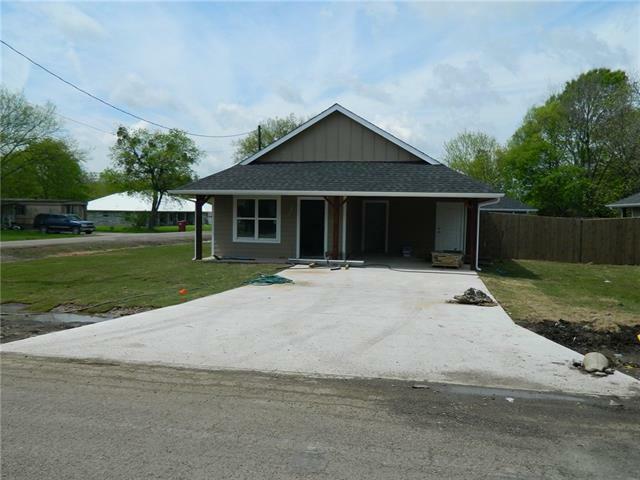 Purchase price includes land, permits, HUD approved concrete pad foundation, termite treatment, driveway, septic, plumbing, electrical, setup, trim-out, central heat and air, skirting, back deck, front covered porch and much more. 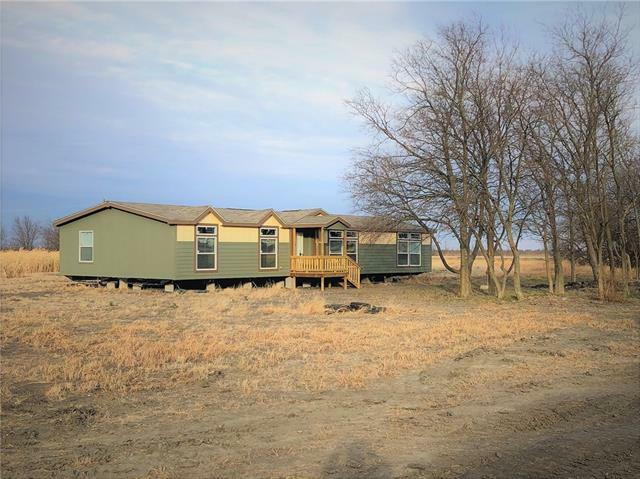 This is a nice home "
"Beautiful double-wide mobile home with upgrades on 1.5 acres of land." 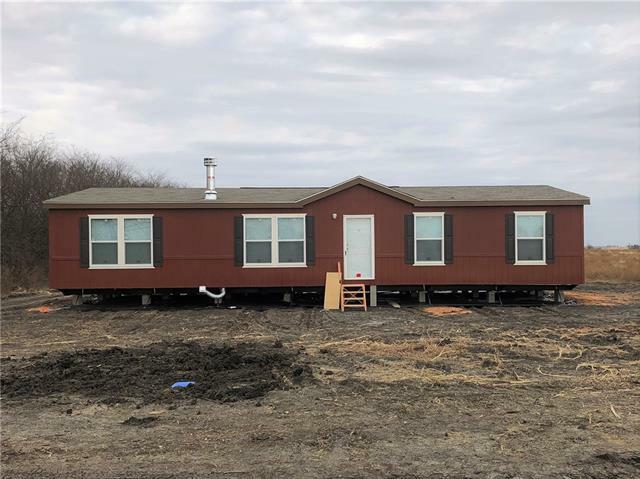 "Brand New Champion brand Double Wide house resting on an acre and a half of country soil near Leonard, TX. Come move to the country and enjoy what a small town community and schools have to offer. Turn-Key ready Land & Home package that includes FHA approved pad, rock driveway, front porch, back deck, septic and utilities. Leonard ISD schools. Pictures are from the factory and may represent the floorplan on this lot number. Come out and look for yourself and pick from 4 remaining models." 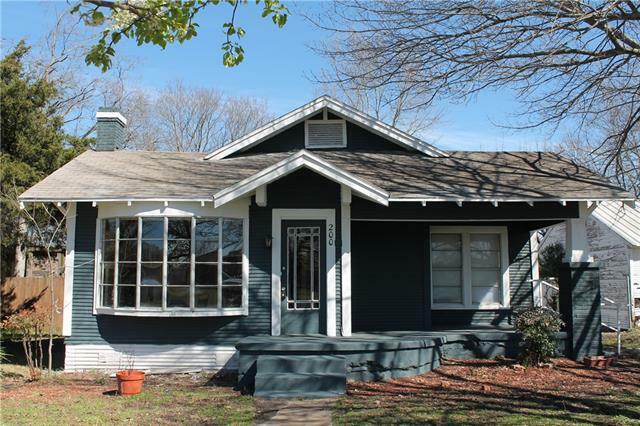 "Absolutely adorable single story home only 30 minutes from Mckinney is as charming as can be. Nothing says welcome like a front porch and as you enter the home you are greeted by light and bright rooms. 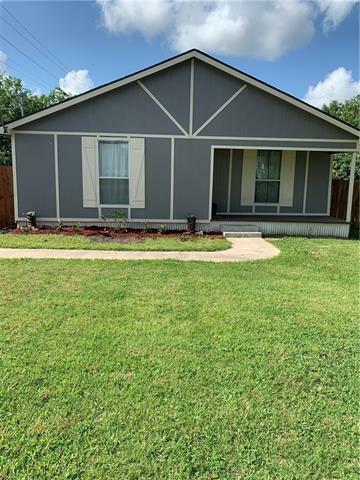 Laminate wood floors throughout, a sweet kitchen that has granite counters and new appliances with plenty of cabinets, the home has been completed updated to include cement hardi-board type siding, crown molding, basically, everything making this a move in ready home. Sitting on a beautiful 1-a"
"Move in ready! Updates everywhere you look. Eat in kitchen has been updated and has room for everyone to gather. Good sized living room. Every bedroom has a private full bath! No more fights in the mornings. Expansive master bedroom has room for a sitting area or retreat. Master bath has jetted tub and double size shower. Over sized laundry. Large backyard and wood privacy fence. approx. 8x16 workshop with electricity. 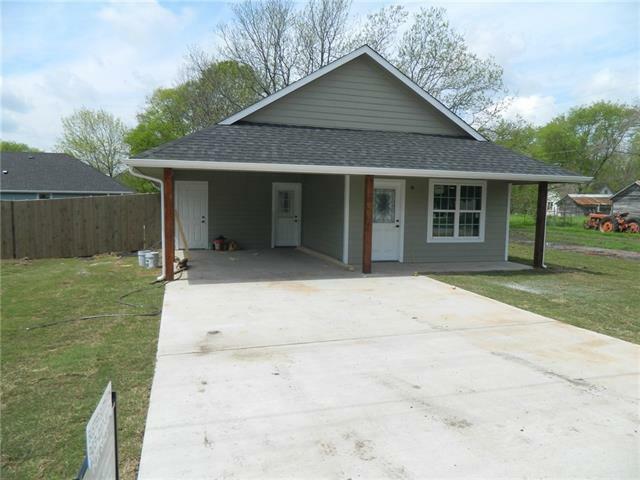 Concrete drive can hold 4 cars and on the side is another parking area for b"
"New construction 3 BR 2 Bath home. Living room and master bedroom have tray ceilings. Builder is furnishing a 10 year warranty. Floor covering will be tile. Buyer may be able to choose from 5 or 6 colors before installation. Living-dining area is open concept with L-shaped white shaker style cabinets with granite counter tops." "New construction 3 BR 2 Bath home. Living room and Master bedrooms have tray ceilings. Builder is furnishing a 10 year warranty. Floor covering will be porcelain tile. (Buyer may be able to choose from 5 or 6 colors before installation. Living-dining area is open concept with L-shape white shaker style cabinets with granite counter tops." "Cottage style home with large front porch. The home was updated in 2003, has 9 ft ceilings, crown molding, and original wood floor in living room. Carpet is in bedrooms, with vinyl in kitchen, hall, bath-utility, and enclosed breeze way. Breeze way has doors which lead from the garage, and to the front, and back of the home. Blinds are though out the home. Water heater is approx. 6 months old, and roof was installed in November of 2018. Large deck with hot tub in back yard. There is also a cover"
"Just recently remodeled including roof and all inside with paint, tile, floors, counter tops and much more! Very large lot with plenty of room to expand!" 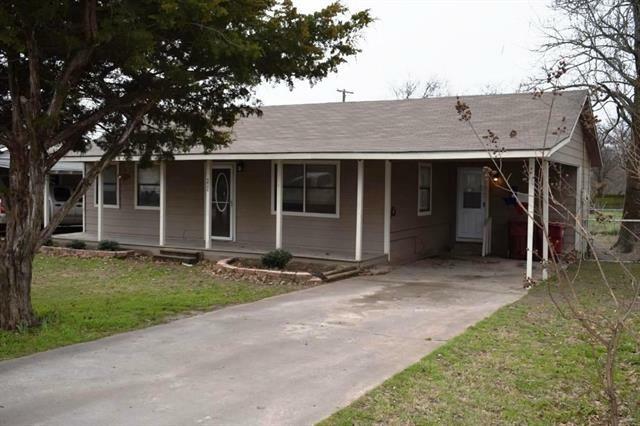 "Perfect starter home in the developing community of Leonard, Texas. 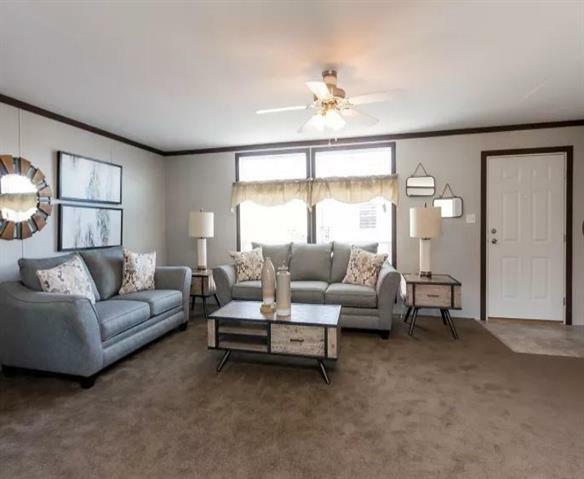 This three bedroom home features modern updates to the kitchen, flooring and fixtures. Huge lot with partially fenced in back yard, large enough for pets or young children to play in with the option of building additional fencing or a garage. The central living room leads into the hallway guest bathroom and two bedrooms. The open kitchen leads into the master bedroom with ensuite master bathroom. The new portable building is neg"
"ALL OFFERS WELCOMED...EXTERIOR NEWLY PAINTED! Home sits on a large double CORNER lot right across the street from Leonard Elementary school. 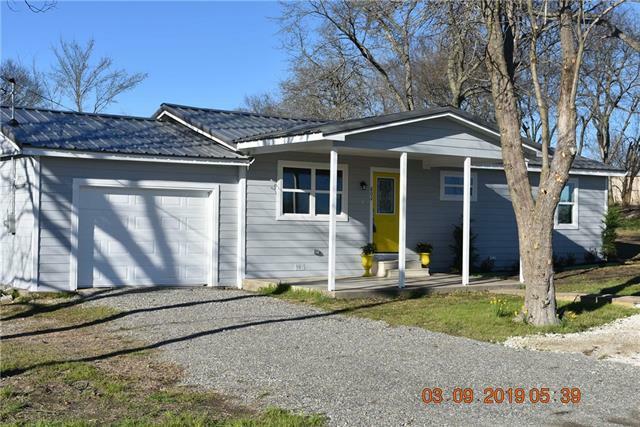 Property has a huge backyard with large trees, workshop with electricity, freestanding covered entertaining patio, and a detached 1 car garage with ample storage space. 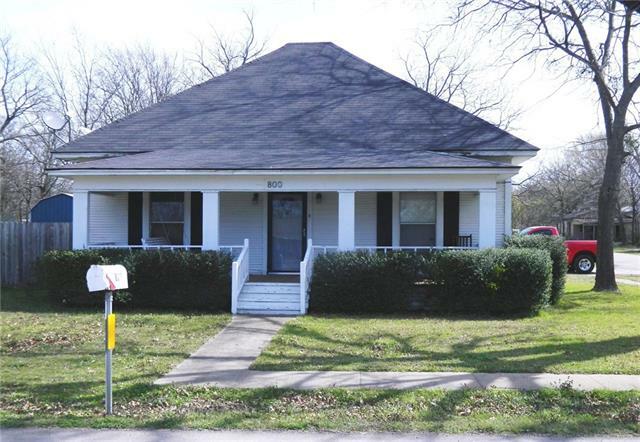 This is the perfect fixer upper, flip, or rental for any individual or investor. Bring your offers!" 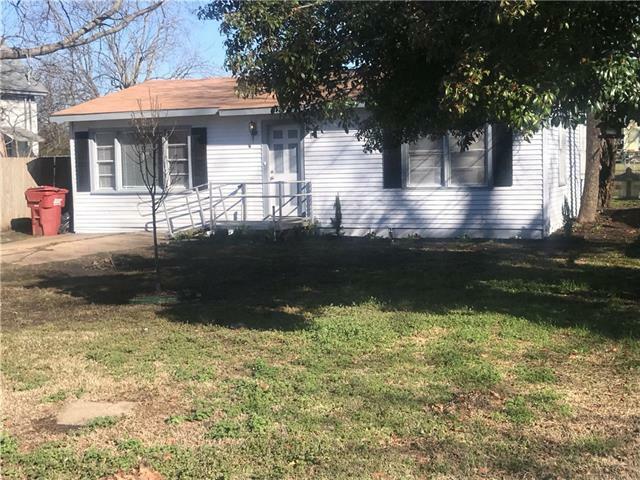 "This recently updated home has wood floors throughout and a large living room There are two bedrooms plus an extra room off of the carport that can be used as an office, den, or a possible third bedroom. 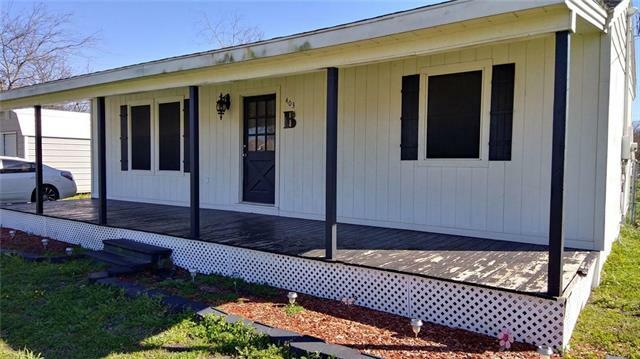 On over .3 acres, the yard is a great size with plenty of room to enjoy!" "Cozy home on a corner lot in a quiet small town. Walking distance to schools"